A new finding about how cinnamon may speed up your body's metabolism sheds new light on how our body stores and burns fat. As we reported recently, scientists have discovered that cinnamon may be a surprising new tool in the fight against obesity, but what you may not realize is just how much this discovery could tell us about the battle against the bulge in general, and how it could lead to future breakthroughs. 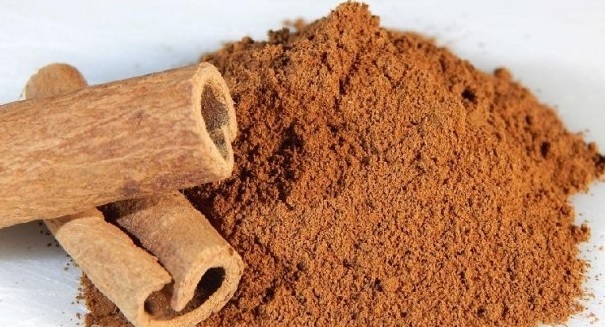 The findings, published in the journal Metabolism, found that the essential oil in cinnamon that gives it its flavor, cinnamaldehyde, actually speeds up our metabolism. It’s encouraging because for so many people, the battle against obesity is a frustrating one that sometimes seems unwinnable. If you’re like many people, you’ve started diets, implemented new exercise regimens, purchased shiny new equipment to work the glutes and abs and your core and whatever else you think needs work. But what if you could be doing more to boost your metabolism so you’re working with your body, and not against it? Cinnamaldehyde appears to work against fat cells called adipocytes and launch thermogenesis, a process that burns excess energy. In this study, researchers found that cinnamaldehyde encouraged metabolic regulatory proteins named Ucp1 and Fgf21 to start working in overdrive. Wu knew that cinnamaldehyde successfully protected mice from obesity and hyperglycemia, but wanted to see if its effects translated to humans. The study she conducted appeared to suggest that, at least according to the initial results, the answer is yes. And that’s hugely encouraging, because for many people the battle is not just a lack of discipline to stick with diet and exercise, but also poor metabolism in the body. But metabolism is something scientists still don’t understand that well, or at least how it can be controlled, so any new tool in this battle is a big step forward.